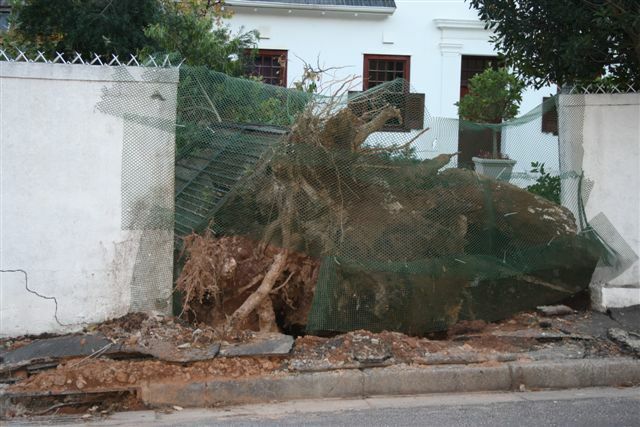 The series of images above show the prompt and effective intervention by the GSCID and a private tree-felling company on Friday, 19 April in Lover’s Lane, Rondebosch to clear up the debris following the destruction caused by a tree which crashed down during the torrential rain and caused severe damage to a resident’s property. 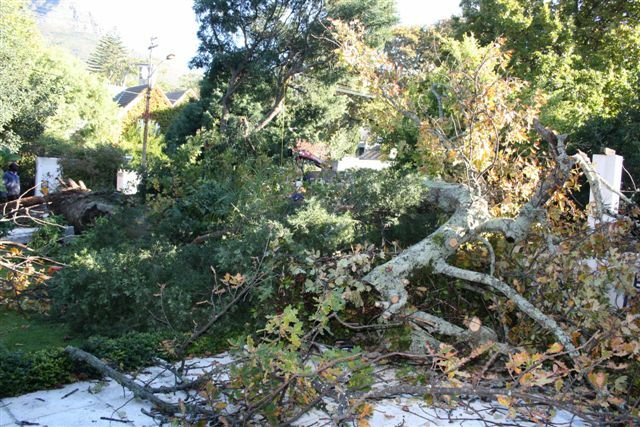 I would like to once again thank the GSCID for all of their help on such short notice. 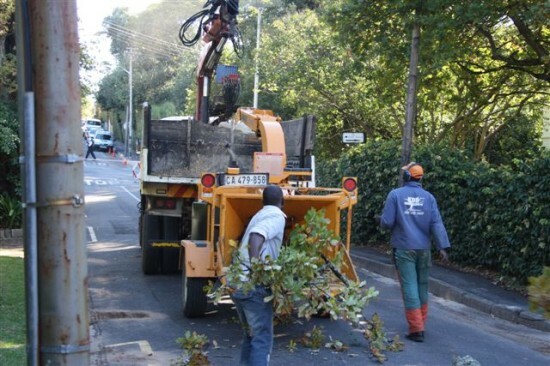 We, the residents of 12 Lovers Walk in Rondebosch, desperately needed our road to be blocked and no cars to be parked on it for the morning of the 19th of April, due to the presence of a crane which was needed to remove a fallen oak tree in our property. 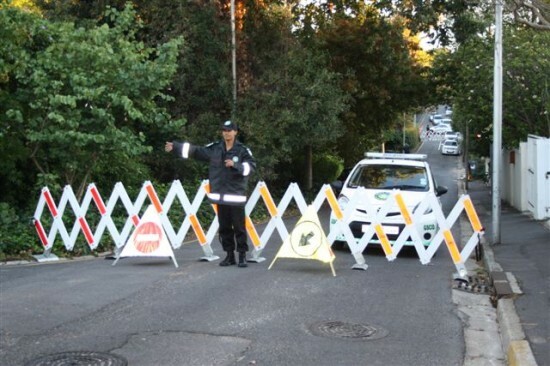 The GSCID was incredibly helpful and efficient and proceeded to block the road in the early morning, and posted guards at each end in order to supervise the blocking. 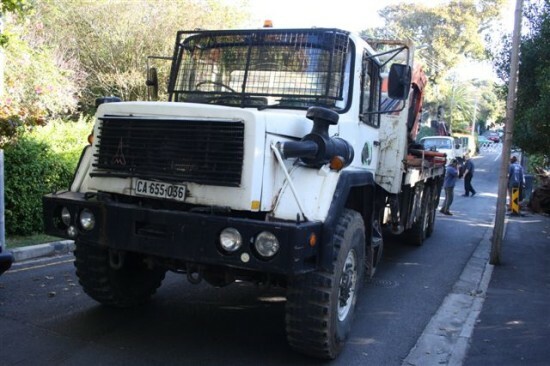 We were also in contact with the traffic department (call reference number: 20130419108), who approved the GSCID’s actions and sent a traffic officer to our street to asses the situation. We are very pleased with the professionalism with which the situation was handled by all parties involved, and would once again like to thank everyone involved.